The final step in finishing your wood floors will be to apply polyurethane to give it a protective layer and attractive sheen. There are basically two types of polyurethane, oil based (solvent borne) and water based polyurethane (water borne). Oil based products were originally the standard in the industry until the development of water based polyurethane. Water based polyurethane has evolved over the past few decades with the demand for a product which is safer, more eco friendly and more efficient. Though both types are still used today, water based finish has become the most common for several reasons. Here are some of the advantages of water based polyurethane. Perhaps the greatest advantage to the homeowner who goes with a water based product is that there will be virtually no exposure to VOC’s – volatile organic compounds. These compounds emit noxious fumes which are unsafe for people and pets. Oil based products contain petroleum derived subtances known to be carcinogens such as benzene or ethylene glycol. These substances emit strong fumes for at least 24 hours after application until the coat has dried. Their presence may continue to effect air quality indefinitely. The natural alternative is water based products. These replace the petroleum solvents with plant derived substances. These products are far safer for the health and well being of all concerned. You will have the peace of mind that no one is having their health at risk by exposure to VOC’s. These days, at least for most buildings in Manhattan, oil based polyurethane is not even an option anymore due to the exposure of tenants to such fumes. Flammability is another big concern. Oil based polyurethane is very flammable whereas the water base is not, making it safer as well as healthier. A water based coat dries much faster then the oil base. A few coats can be applied and dried all within several hours. Everything can be put back in place and the room can be ready to occupy the same day, with no residual odor. An oil base coat could take at least 24 hours to dry and a few days for fumes to subside. Water base fully cures within 24 hours and will be set for high level traffic, whereas some oil base products can take up to 30 days. Slower drying may be an advantage for the do it yourselfer because it gives time to correct mistakes. 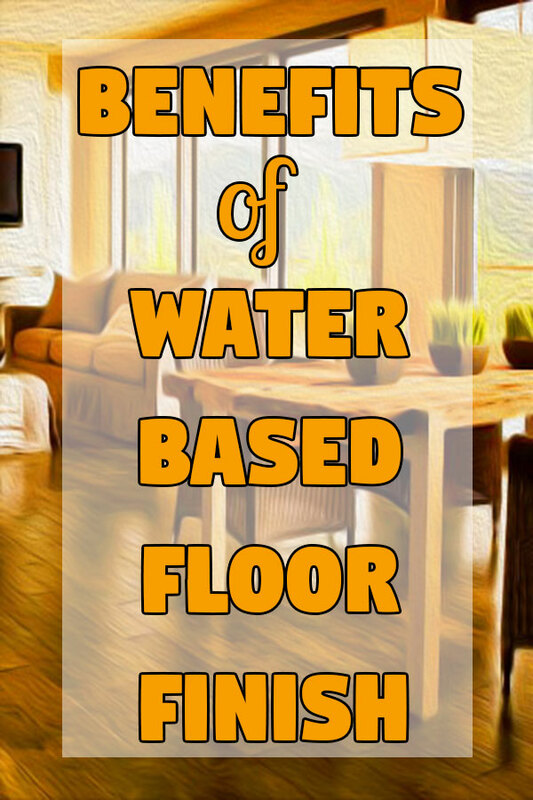 For this reason water base finish requires a higher level of skill to apply. We’ve been using water based polyurethane at Gemini Floors for many years and find that applying top shelf water based finish properly according to manufacturer instructions always gives consistent results. Water based finishes have evolved as manufacturers have developed better chemistry delivering greater resistence to abrasion. Improved binders and additives have now made water based floor finishes the most durable. With different brands there are various grades of quality with top level products being the most durable. Top shelf products like Bona Traffic & StreetShoe have been tested to be up to 5x as durable as oil floor finishes. Some customers have reported that their floors finished with Bona Traffic are still looking new after 10 years. 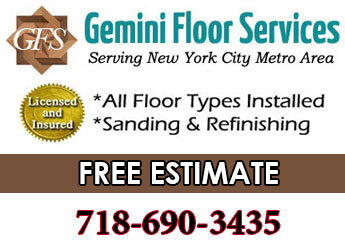 At Gemini Floors we recommend the best quality products for long lasting endurance. We still always recommend protecting your floor by frequent cleaning of dirt and grit and placing throw rugs on high traffic areas. Water based floor finish is a clear coat that maintains the natural color of the wood and highlights the grain more. Oil based finish immediately changes the color of the wood to a darker tone. Over time and with UV exposure the oil finish changes color to a yellowish amber tone. It is a matter of preference whether this is desireable or not. With the water base finish however you will know from the beginning what color the floor will always be, as the finish will not change color. 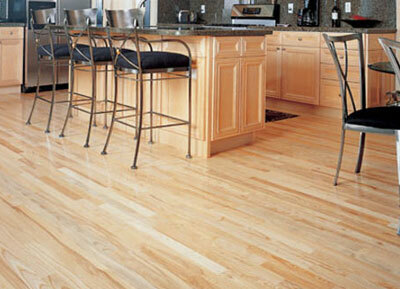 This is especially necessary for keeping a natural look on wood like maple, or on whitewash or gray stained floors. Also if you are applying a stain before finishing you will maintain the color of the stain without making it darker. One reason why someone may choose oil base floor finish is because it is cheaper. You can get a decent result at lower price should you choose to go that route. Though considering all of the above we can see why water based finish has now become the standard of the industry. 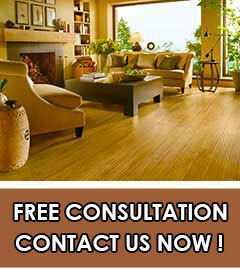 Hardwood flooring expert for over 30 years, serving in the NYC area.